Have you ever watched parents and toddlers at a public play place interact? The parents are typically hovering over their children and are ready to mediate any rough play that appears. A little boy grabs a toy out of another child’s hand, causing her to cry. Immediately, both parents are intervening, talking to the children about “caring is sharing” as the kids continue to scream. We all have done it! But eventually, children need to learn how to handle conflict and disagreements without us helicopter parents around. The only way they can do this is by the parents allowing them to play and work through any issues that naturally come up. A sport, such as basketball, is the perfect way to teach your kids about healthy competition and Goalsetter Basketball Hoops are here to assist. 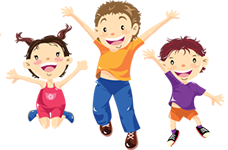 Child development experts all agree that a little healthy competition can be really good for kids. Yet, as parents, we either are reluctant to let them embark in such a state of competition or we go to the other extreme and put too much pressure on our children. Sometimes, a good ol’ fashion game of basketball in the front yard with neighborhood kids can be just the right amount of healthy competition kids need to develop these crucial life skills. What Life Skills Do Kids Learn From Healthy Competition? The number one skill kids learn is perseverance. By experiencing healthy competition, kids will learn that when they fail, or miss a basketball shot, it’s okay and they can just try again. So often, kids don’t understand competition and when they “fail”, they enable it to lower their self-esteem. A lowered self-esteem trickles into all areas of life, whether it be schoolwork, a sporting event or a band practice. Furthermore, with the abundance of smartphones in children’s hands these days, kids are losing the skill of socially interacting face-to-face with other people. By taking technology away and allowing kids to play outside, they learn how to work through conflict and better their relationships with others. It’s not about basketball, or whatever sport or activity kids play. It is about learning how to deal with problems that arise during play, because once the kids are adults, they will experience social disputes that they need to have already developed skills to manage. Experts don’t all agree on the exact appropriate level of competition for children, but they do all agree that childhood rivalry and competitive attitudes should be centered around positive and fun games. This is why installing a Goalsetter Basketball hoop in your yard can allow your family to experience the perfect amount of healthy competition in a fun, safe and inspiring environment. Goalsetter sets the standard by which all other hoop systems are measured. Ballplayers who are tall or short, young or old, beginner or experienced, take advantage of Goalsetter’s ability to adjust the rim height to develop and hone their basketball skills. Young ballplayers experience the joy and success of making a basket, while learning the proper way to shoot from the earliest age. Memories are made – and remembered – on a hoop system that performs like those found in high school, college, or the NBA. Goalsetter hoops have responsive, durable backboards, off-set poles, compression height adjustment mechanisms, greatest rim height adjustment range, patented hinged ground anchor system, die-formed extension arms, toughest rims, superior corrosion resistance and the toughest warranty in basketball. Visit Swings-n-Things, located inside Run Jump-n-Play, for all of the details!